RUSH: Northeast Pennsylvania, Jim, you’re next. I’m glad you waited, and great to have you. CALLER: Thank you for taking my call, Rush. And small business, loving-what-I-do dittos. RUSH: Congratulations. Happy to hear that. CALLER: Thanks. Yes. Things are going well. 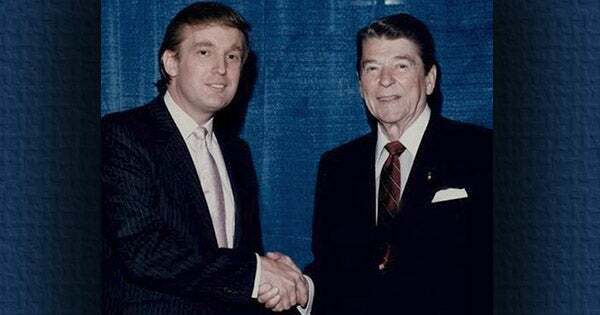 My point I was going to make was ever since I’ve been listening since around 2001, President Reagan has always been the standard which you use to measure conservative success. And my point is that I believe with the things that President Trump is doing and incorporating and the success he’s having, he will be the new standard which you use in the future to measure by, not forsaking Ronald Reagan but just building on him, but Trump will be the new reference. RUSH: You may be right. It’s gonna take more than one year. Ronaldus Magnus is Ronaldus Magnus. He’s like the Julius Caesar of conservatism here. But I’ll tell you what. There are Reaganites who are saying that Trump’s first year has been far more, quote, unquote, conservative than Reagan’s first year was. You got Gorsuch — by the way, did you see Gorsuch last night in the State of the Union speech? Did you see him sitting there? He was referenced, not by name, but he didn’t move a muscle. He sat there like the sphinx. He didn’t move a muscle. And Elena Kagan leaned over to talk to him, he looked at her like Herman Munster was sitting there. I don’t think he moved from the moment he sat down, both hands on his knees. Anyway, they’re saying that Trump’s first year has outdone Reagan’s. And they don’t say this begrudgingly either. So you have a good point. We’ll just have to need more time.